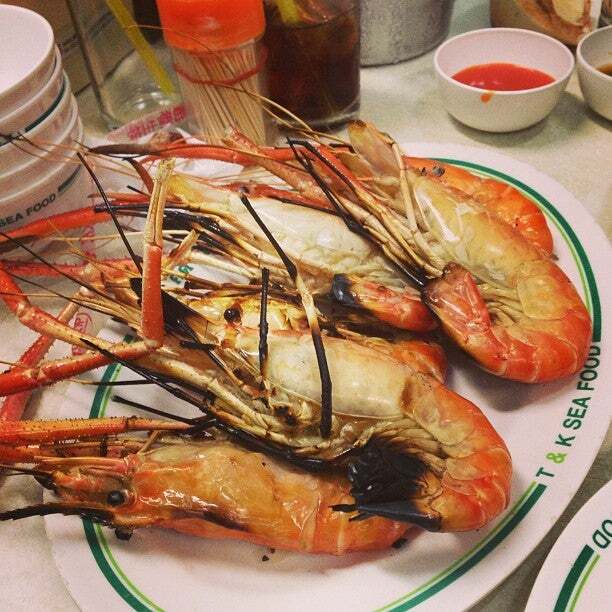 T&K Seafood is one of famous seafood eateries in Yaowarat. It's a legendary street corner seafood restaurant with great fresh seafood. Why T&K Seafood is special ? How to get to T&K Seafood? 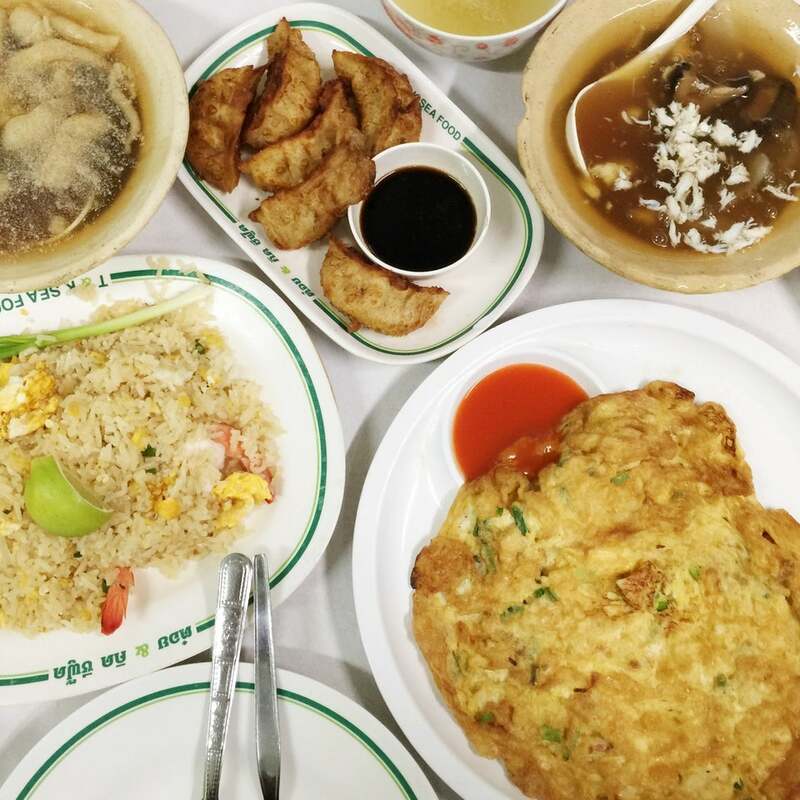 The best way to get there is to take the MRT to the last stop (Hua Lamphong) and walk 5-10 minutes to Yaowarat Road and you will find the restaurant. Or you can also take a taxi/tuktuk to get there. The crowds are there everyday for their seafood. The first thing you'll notice is the haphazard way the restaurant runs.....it seems like chaos. But if you stand there at the corner, a worker will notice you and help you. There's street corner seating plus a building where you can enter and sit on the first floor or the second floor. Like I said, it will seem like runaway chaos there! Last time I shared a long table with another couple...no problems. 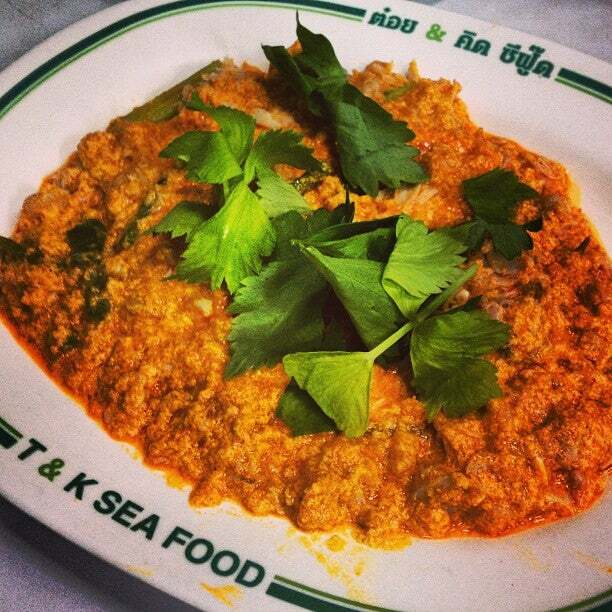 The seafood is what you came here for. My favorites on the menu is the grilled prawns (goong pao) and the stir fried mussels in basil. But they have have an extensive seafood menu for you to choose from.....in English. 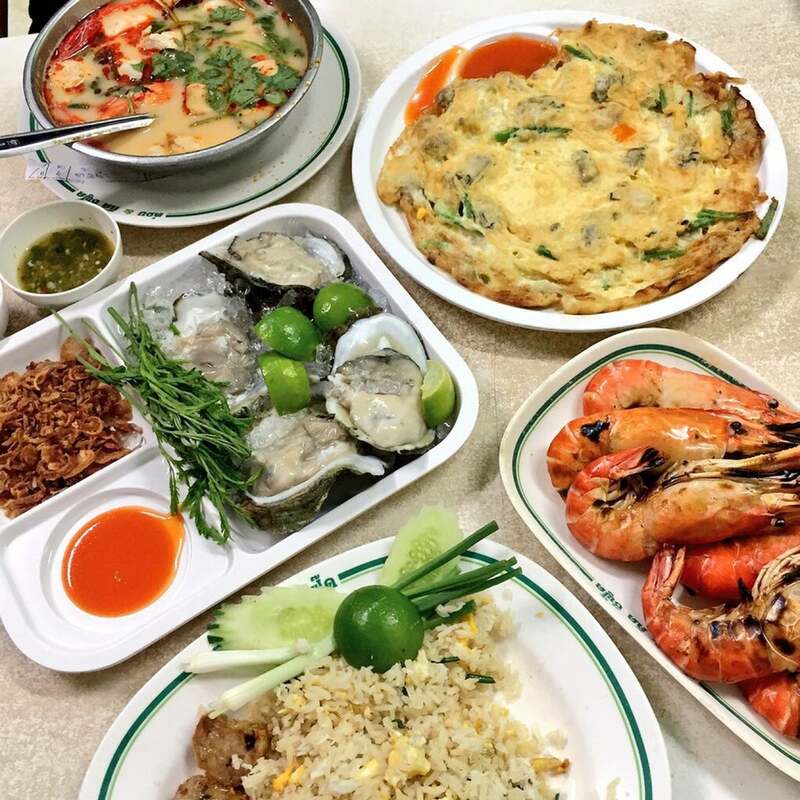 The best way to get there is to take the MRT(subway closes midnite)to the last stop (Hua Lamphong) and walk 5-10 minutes to Yaowarat Road at begin your eating exploration of Bangkok's Chinatown. Very crowded, outstandingly famous. 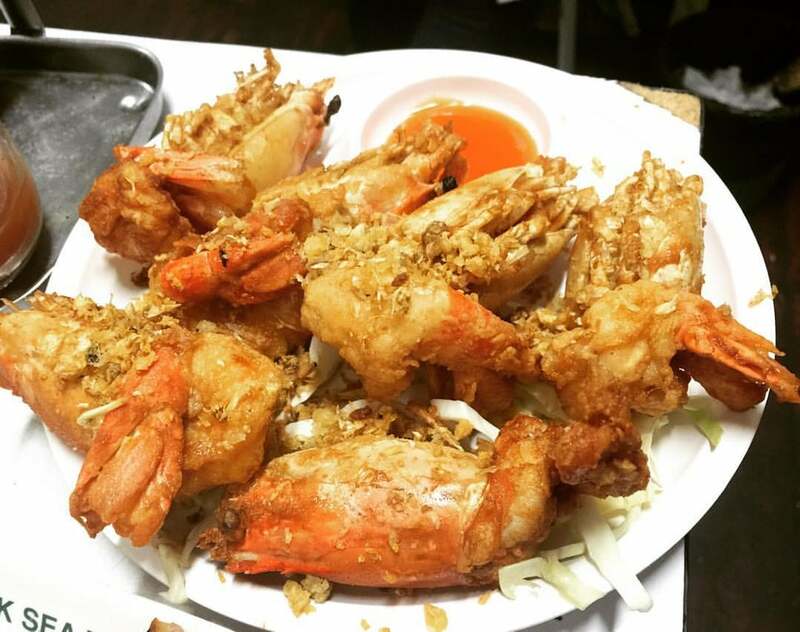 If you want to try one of the most famous seafood on BKK you can't miss this place. Good prices. 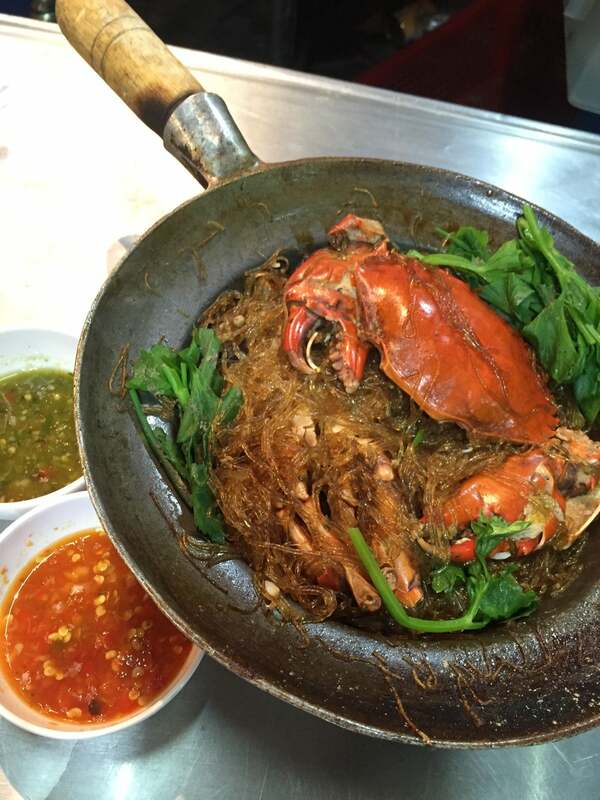 My advice: the crab with crystal noodles, you won't regret it!! !